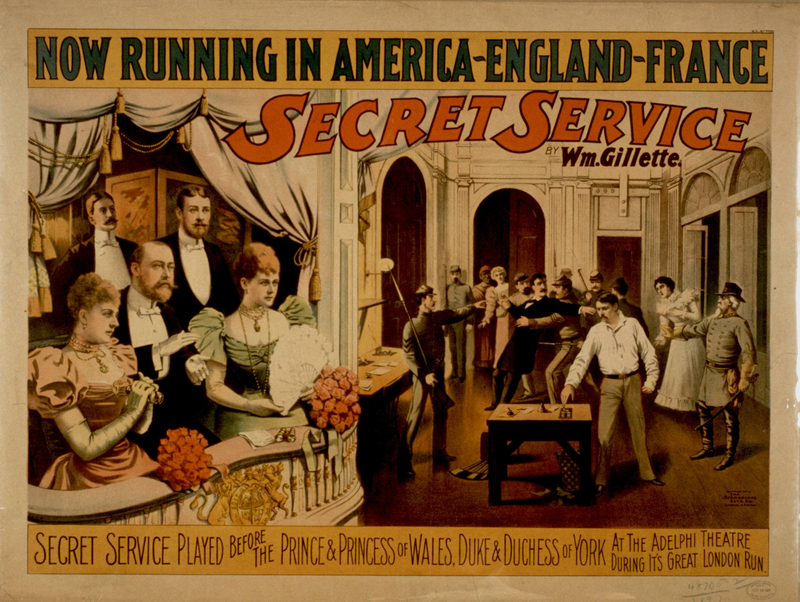 Secret Service by Wm. Gillette. 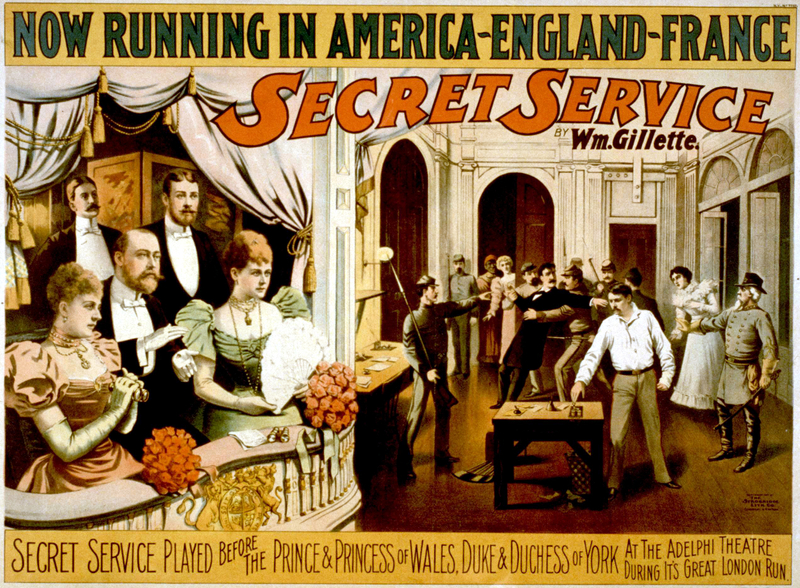 The American production of Secret Service opened 15 May 1897. The Theatre (1 June 1897) declared it "the best play of its kind which America has yet sent us." It follows the basic rules of melodrama and includes a war theme. The heroine of one side falls in love with the hero of the other. Love rises above politics. After bowing to these conditions, the author brought a small part of the American Civil War to the London Stage.